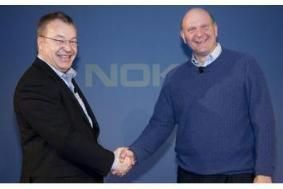 Nokia forms strategic alliance with Microsoft, will adopt Windows Phone for smartphone developments | What Hi-Fi? The statement says that "specific details of the deal are being worked out", but some of the aspects of the partnership are already clear. Nokia will develop the Windows Phone platform in areas such as imaging, where it is particularly strong, and contribute expertise on hardware design, language support and the spreading of the platform to more price points, market segments and areas of the world. Microsoft's Bing will power Nokia's search functions, while Nokia Maps will become a core part of Microsoft Mapping services. Nokia's content and application store will be integrated with Microsoft Marketplace, Microsoft development tools will be used to create applications to run on Nokia Windows Phones, and Nokia's operator billing agreements will allow users to buy services in countries with low credit card usage. In addition, Microsoft will continue to develop cloud services, allowing buyers of the new phones to access more content on the move. The joint statement concludes: "Today, the battle is moving from one of mobile devices to one of mobile ecosystems, and our strengths here are complementary. Ecosystems thrive when they reach scale, when they are fueled by energy and innovation and when they provide benefits and value to each person or company who participates. "This is what we are creating; this is our vision; this is the work we are driving from this day forward. "There are other mobile ecosystems. We will disrupt them. "There will be challenges. We will overcome them. "Success requires speed. We will be swift. "Together, we see the opportunity, and we have the will, the resources and the drive to succeed." The move brings to an end the intense speculation in the world's press since Elop, who joined Nokia from Microsoft last September, made his now-famous 'burning platform' comments about the company he now heads. In a memo to staff last week, and widely reported, he'd drawn an analogy between Nokia and a man on a burning oil platform, caught between succumbing to the fire or making a leap into the dark waters below. He told them "While competitors poured flames on our market share, what happened at Nokia? We fell behind, we missed big trends, and we lost time. At that time, we thought we were making the right decisions; but, with the benefit of hindsight, we now find ourselves years behind. Nokia remains the leader of the global mobile phone market, at least in volume terms, but in recent times has seen its profitability under attack from the rise of Apple's iPhone and models based on the Google Android platform.